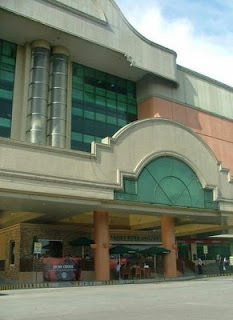 A new branch of Starbucks has just been opened at the entrance of Sta Lucia Grand East Mall in Cainta, Rizal. 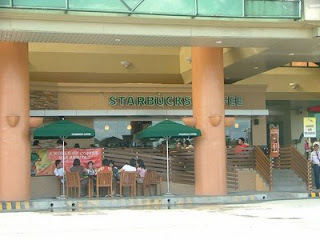 If I'm not mistaken, this is the first branch of Starbucks in Cainta. There's the base which is just in front of the mall's driveway, an elevating ramp leading to a mini veranda/terrace with a couple of tables, and the airconditioned interior. Looks like a cozy place to spend a blazing hot afternoon or an evening after-dinner drink with friends.